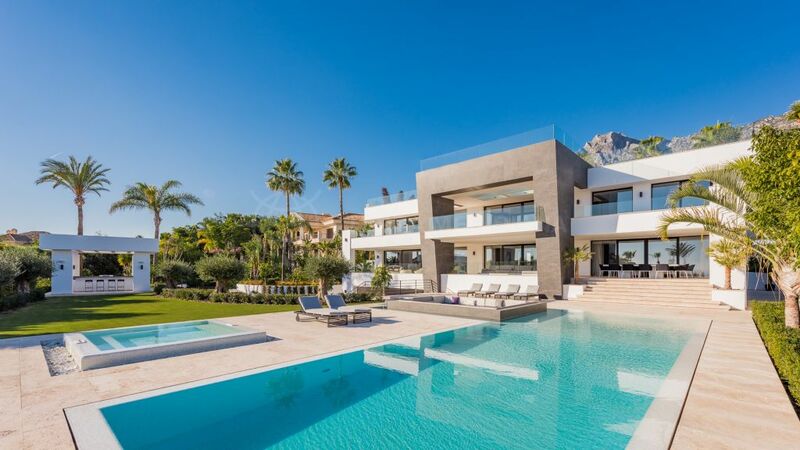 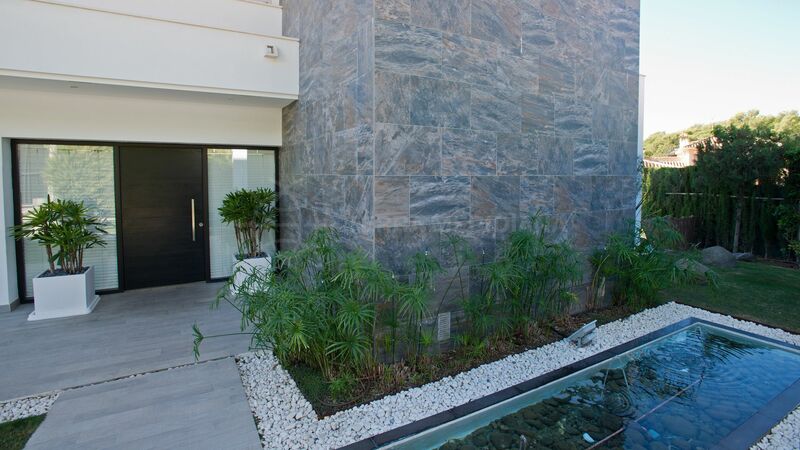 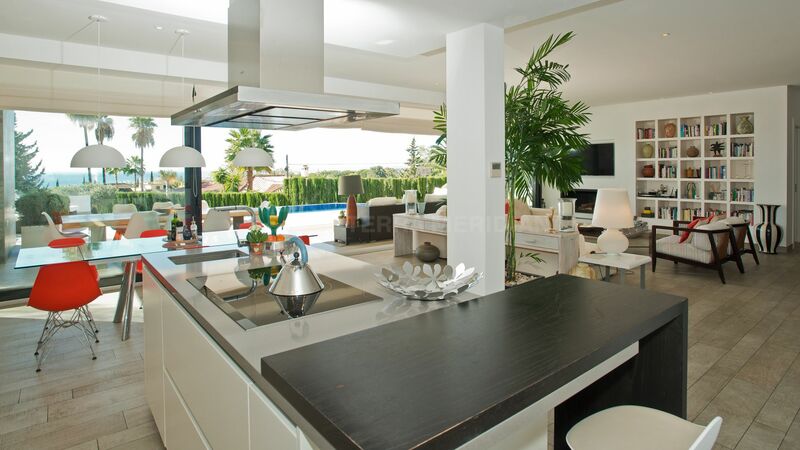 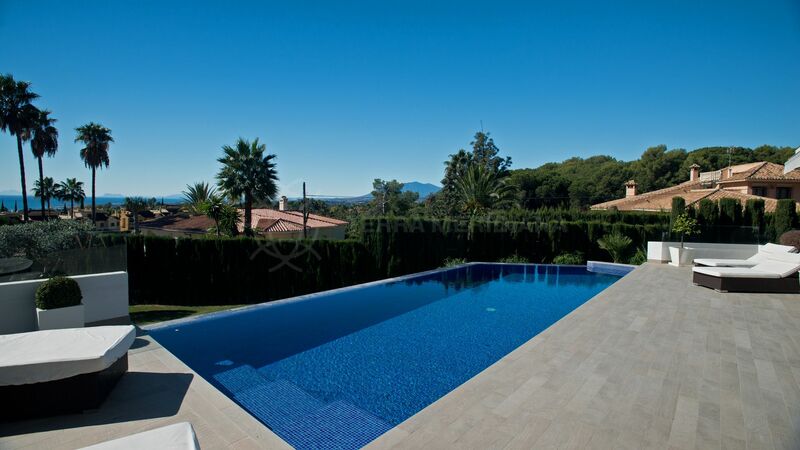 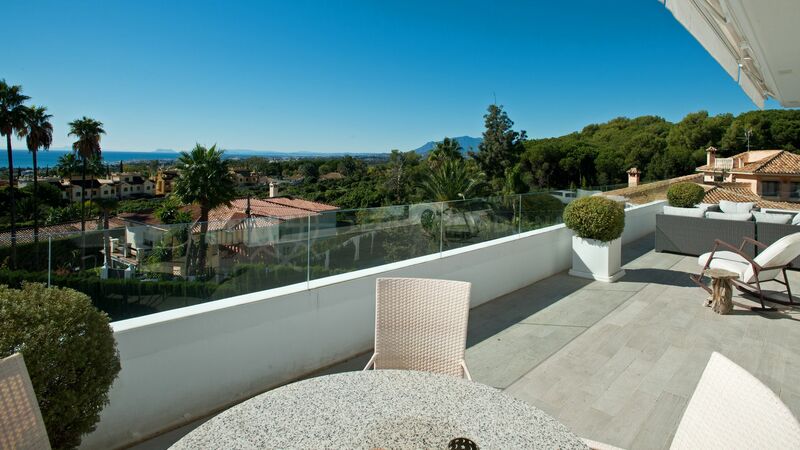 A beautiful contemporary home offered for sale in the prestigous urbanisation of Nagueles, close to Sierra Blanca on the Marbella Golden Mile and close to amenities and schools. 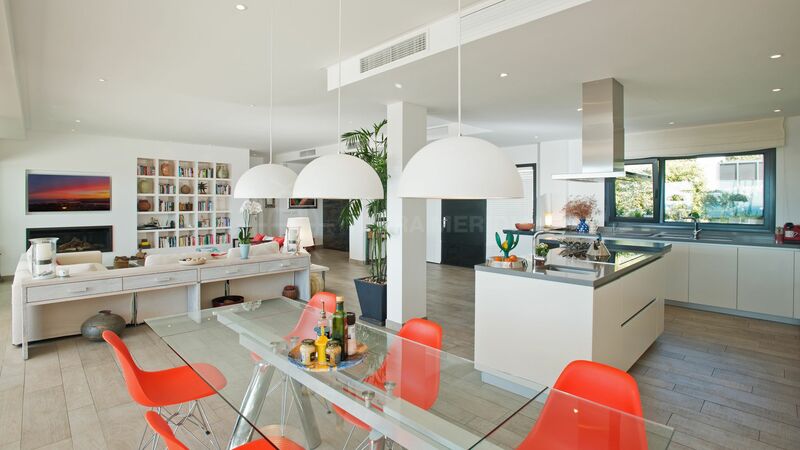 A spacious open plan entrance leads in to a very large open plan kitchen, dining and living space with fireplace and excellent sea views across the partly covered terrace and infinity swimming pool. 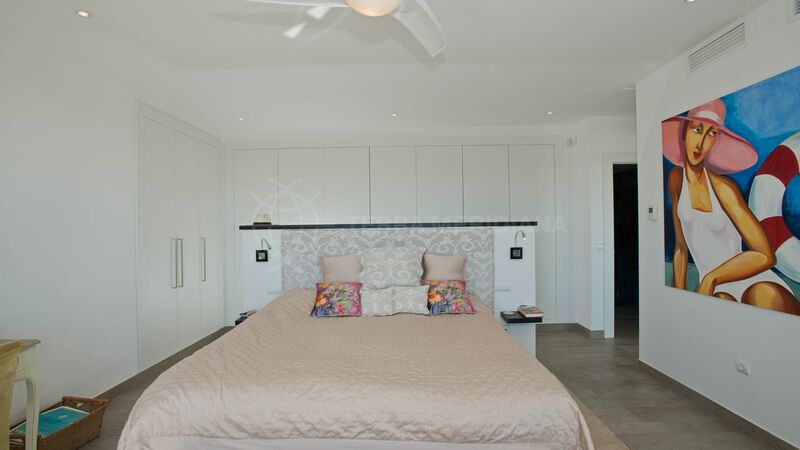 A guest bedroom and bathroom is also located on this level, a guest toilet as well as an office with glass curtains and bathroom accessed via the terrace. 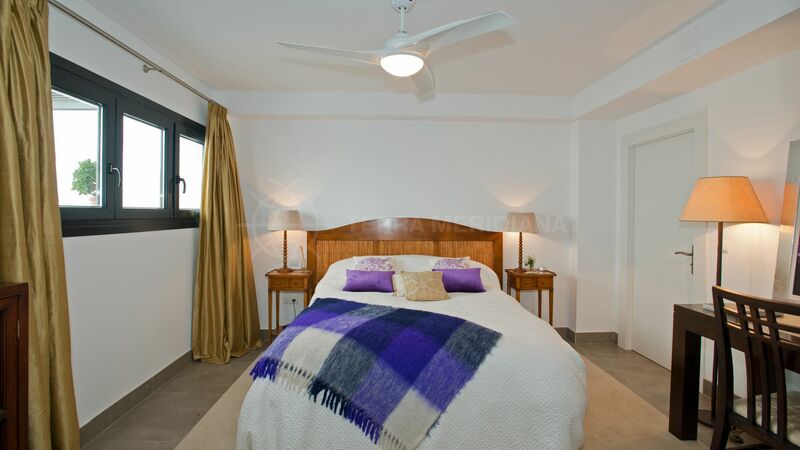 On the upper floor is situated the master bedroom with a dressing area, a large bathroom with bath and walk in shower and access to a large terrace with panoramic sea views. 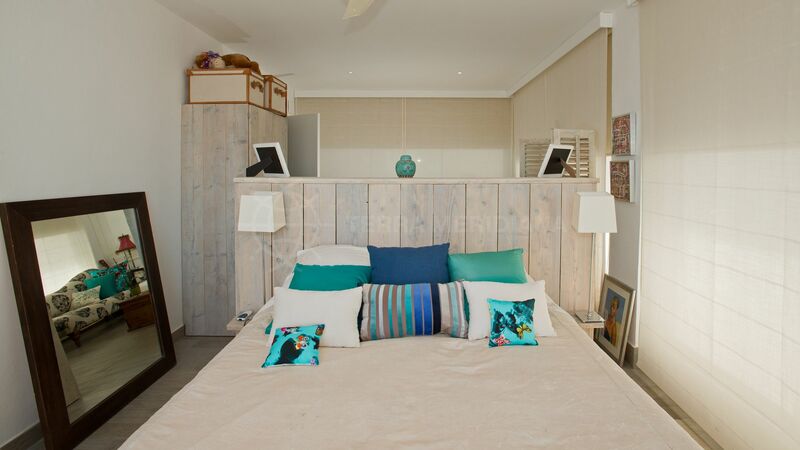 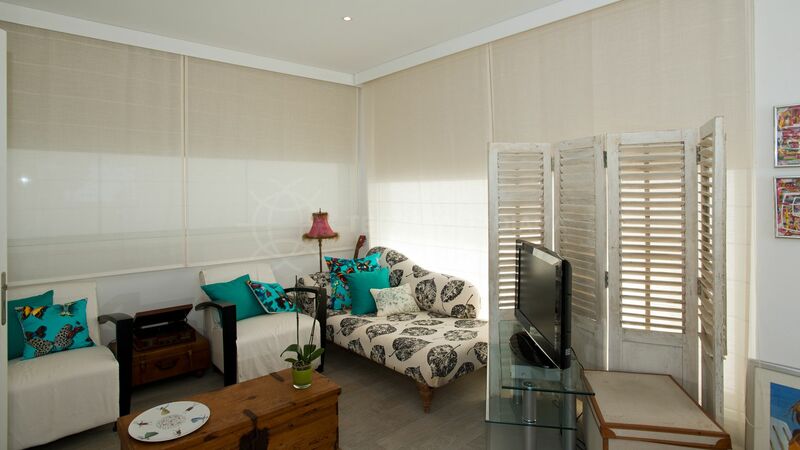 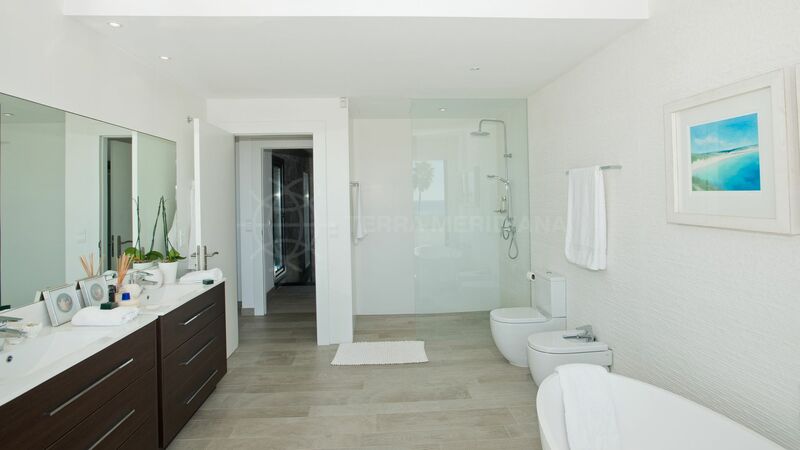 Another bedroom and bathroom suite is also included on this level with excellent sea views and access to the terrace. 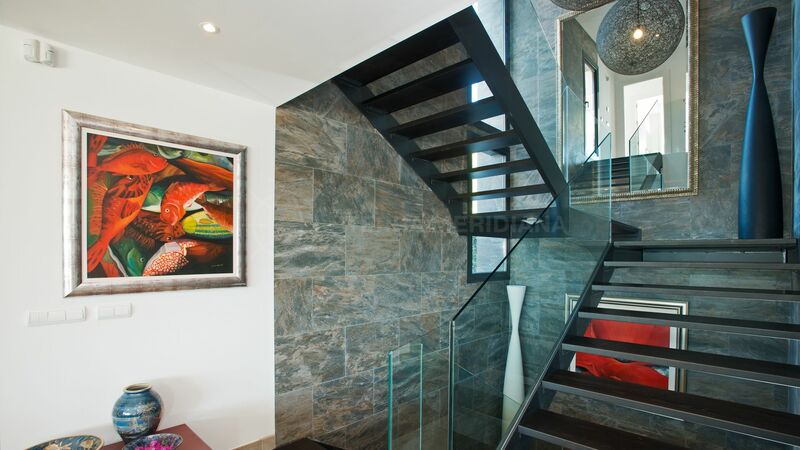 An exterior staircase leads from this level to a large roof terrace which would be perfect for sun bathing or a roof top entertaining area. 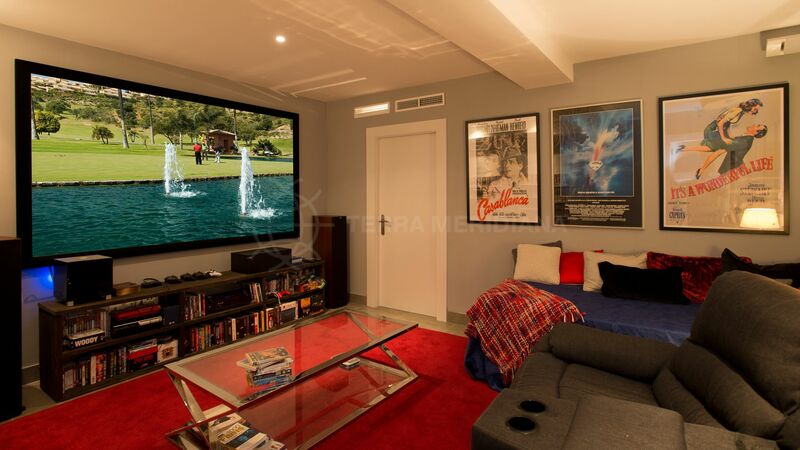 In the basement is situated a home cinema / entertainment room, a laundry room and kitchen and a further bedroom and bathroom. 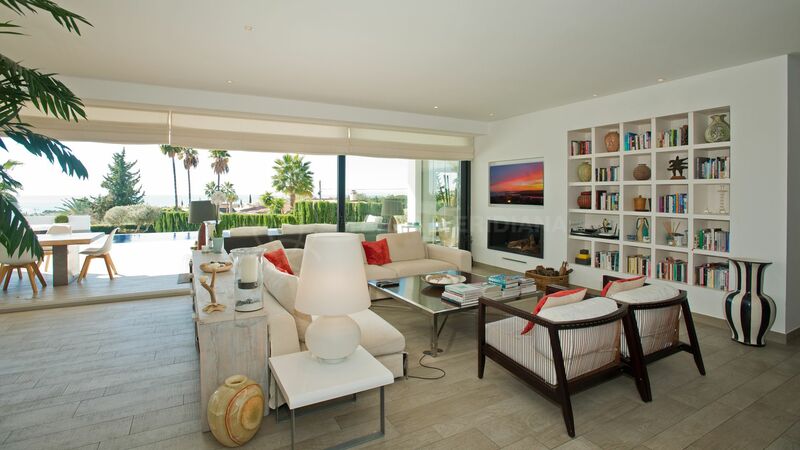 From this level you can also access a spacious 3 car garage. 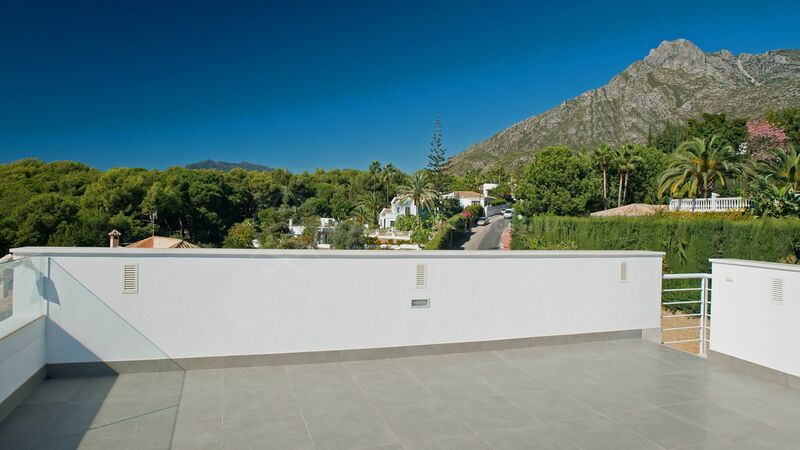 There is also the possibility to extend the basement to include further accommodation. 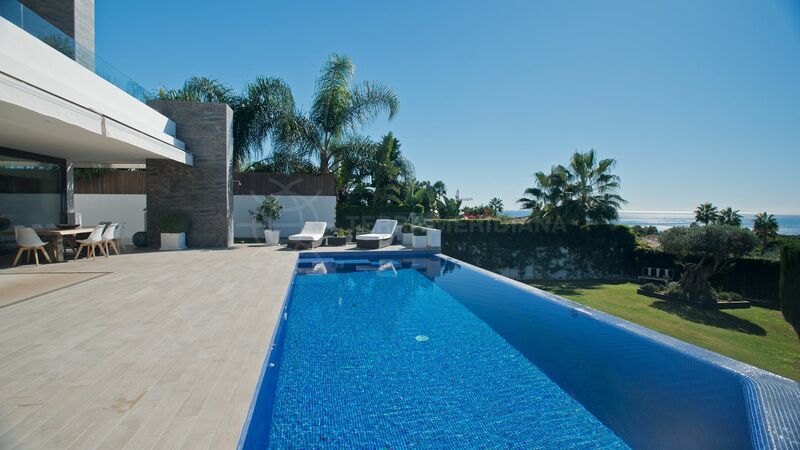 Given the lack of new modern built property available in the area and the excellent sea views this property affords this is a must see property. 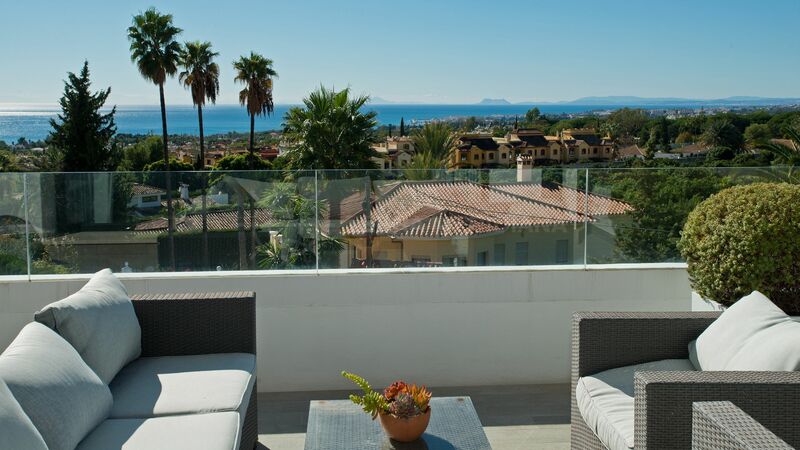 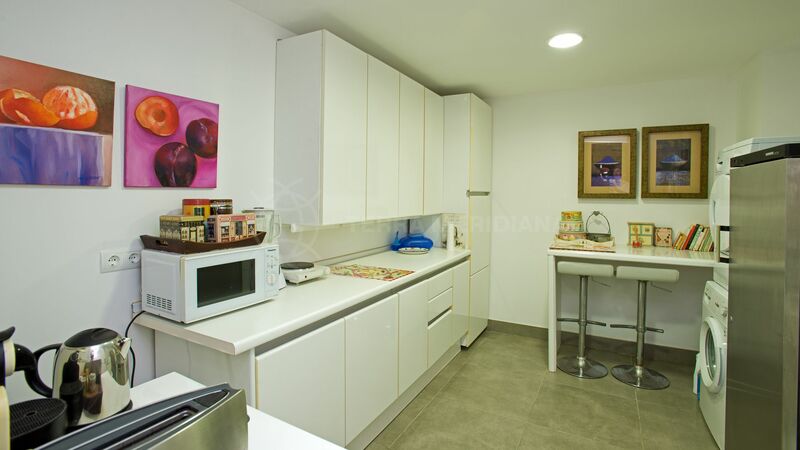 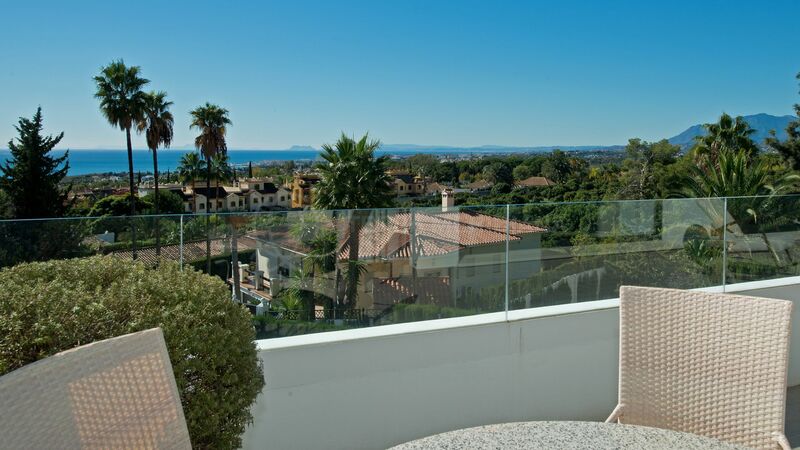 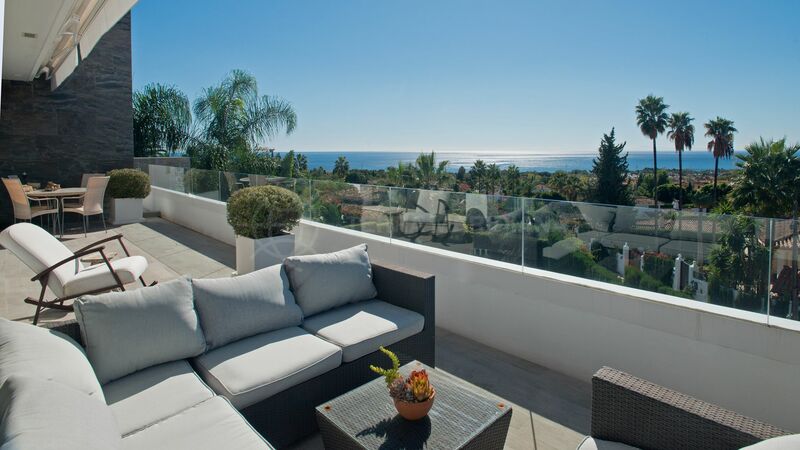 "It is very difficult to find a modern property with excellent sea views from the ground floor in the current market below 3m on the Golden Mile, this property has been built to a very high standard and offers ample accomodation minutes from Marbella and the Golden Mile." 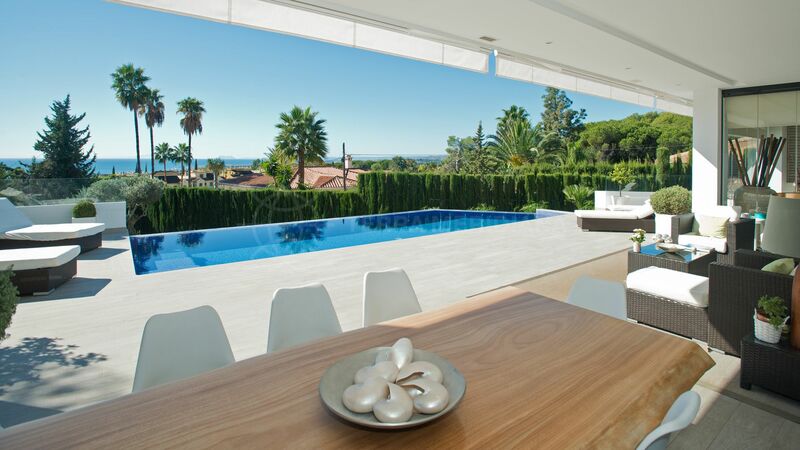 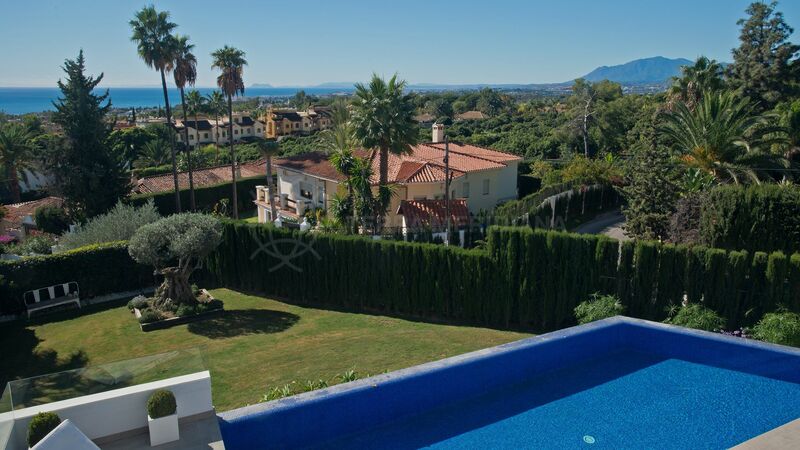 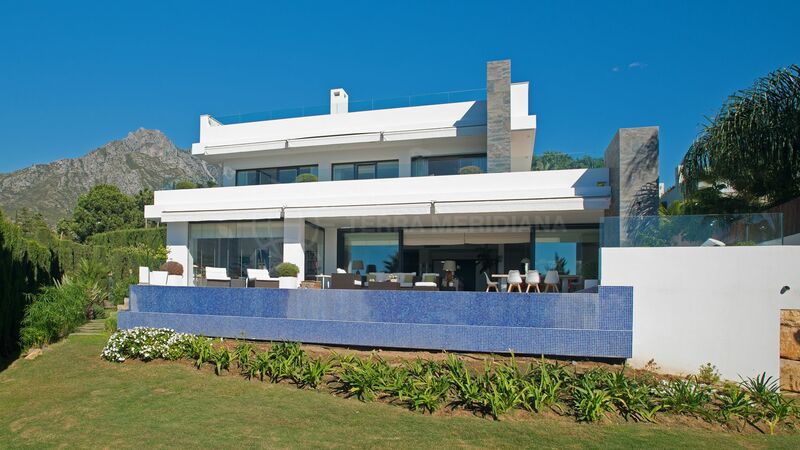 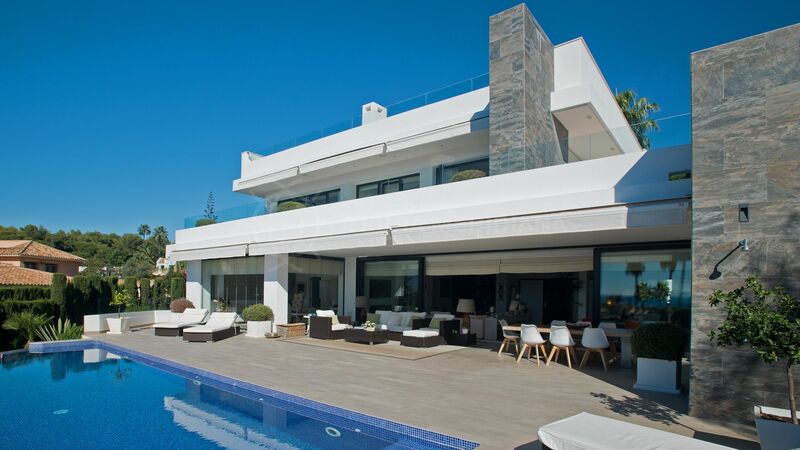 Please, send me more information about ref TMRV0778, Villa in Nagüeles, Marbella Golden Mile or similar properties.